Ugochukwu Ogbuenyi is a member of Peoples Democratic Party (PDP) Youth Alliance aspiring to represent Ndokwa East Constituency in the Delta State House of Assembly in 2019. He speaks on the performance of Governor Ifeanyi Okowa’s administration, peace building, empowerment, second Niger Bridge and others. With emphasis on your constituency which is Ndokwa East LGA, how would you describe the situation of things with regard to developments there generally? I knew you would definitely ask me this question because the condition of Ndokwa East Local Government area has become an embarrassment to the nation. The neglect and abandonment of Ndokwa East dates far back in time. The challenge facing Ndokwa East has more to do with lack of access road to most of its mainly riverine communities. It is a really big challenge judging by the swampy and difficult terrain of the local government area. The state government is doing its best by addressing the problems in phases. However, meaningful support is expected from the Federal Government to ensure that most of the over 80 communities that make up Ndokwa East enjoy good all-season access road. It will not be a bad plan if the Federal Government constructs a new federal road through Ndokwa East local government area to connect the second Niger Bridge as a deliberate way of opening up our oil-rich Ndokwa East constituency. The road can pass through Ossissa, Inyi, Aballa and other riverine communities. Using the same existing Asaba-Onitsha road that connects the old bridge to link the second bridge would not really ease the age long problem of congestion in the Delta end of the bridge. The advantages such would bring would be many. There would be access road to transport the immense agricultural products of the area to other parts of South-South and South-East zones as well as the rest of the country. If the Federal Government takes such a good step it would amount to killing two or more birds with one stone. Based on his achievements so far, do you think Governor Ifeanyi Okowa deserves a second term? Yes, I believe Okowa has done quite well to deserve a second term in office. There are many reasons why he should be supported by all Deltans for re-election next year. First, he has done much to ensure peace, unity and harmony in our diverse and complex state. Without peace and unity, you cannot achieve anything. Now here is a governor who regards and treats every part of the state as his home. Okowa is a natural peacemaker, a conciliator and a bridge builder of immense characteristics. I think we are very lucky and blessed to have such an inspired and dedicated leader as our governor. Again, you know that Delta State is standing on a tripod made up of three senatorial districts of Delta South, Delta Central and Delta North. Anything resting on three legs requires deft and expert handling to avoid upsetting its balance. Okowa has done a lot to enhance our oneness and solidarity as one Delta irrespective of our diverse ethnic and cultural heritage thereby ensuring balance and fairness. He has successfully galvanised and re-orientated the people of the state; he has turned our diversity into a source of strength and beauty rather than weakness and disunity. And let me also state the obvious fact of zoning and the gentleman’s understanding among the elders and leaders of our state which makes it imperative that Okowa should be supported by all to secure a second term as governor. Flashback 1999, we stated with Delta Central where the governorship seat remained for eight years till 2007 when it rotated to Delta South. 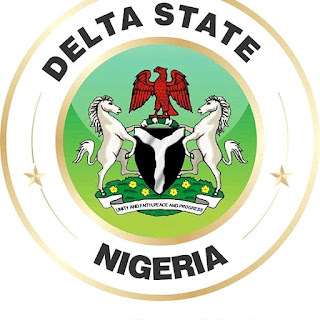 It remained in Delta South for another eight years from 2007 to 2015. Now equity requires that the governorship seat should remain in Delta North for eight years up to 2023. Every well meaning Deltan believes that that is the best way for the physical, psychological and spiritual well-being of the state and her good people. And zoning apart, in Dr. Okowa, we have a governor that is performing satisfactorily. I am not saying this because I am from the governor’s district or that I am his brother. I am saying this because I believe in the unity, peace and harmony of our beloved state. I am standing on the pedestal of zoning because I believe in the philosophy of creating sense of belonging among the people and carrying everybody along in the state. 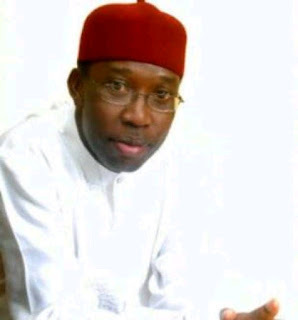 How would you rate the Okowa administration in the area of youth empowerment? The administration of Okowa stands out as the best ever in the very important area of job creation with particular emphasis on youth empowerment. Being a very intelligent, visionary and innovative governor, Okowa is using empowerment and skill acquisition not just to eliminate poverty but also to fight crime and insecurity. When the youth and the entire productive population are busy creating wealth nobody would resort to crime. Apart from empowerment and peace building, which other area has the Okowa administration made significant impact? Many areas indeed but for lack of space, let me cite only few examples. Take a look at the Asaba Airport which was originally built as an airstrip. Today, Okowa has totally rebuilt and upgraded it to an international status. Before Senator Okowa came, the airport runway was like a river; each time it rained no plane would be able to land or take off. That made the civil aviation authorities to ban the usage of the airport. But go to the same airport today and see what Ekwueme, our performing governor has done thereby raising the standard and profile of the airport beyond recognition. Again, hundreds of roads and bridges have been either completed or at various stages of completion by the Okowa administration in the three senatorial districts of the state. He is also reclaiming the status of Delta as a leader in the realm of sports by rebuilding various stadia across the state. Prominent among these is the Asaba Township Stadium which has been expanded and reconstructed beyond recognition. The fact that Delta State is hosting the African athletics championship is a huge plus which puts the state on the continental centre stage. The multiplier positive effects such as investment attraction, image building and general economic boost are unquantifiable. 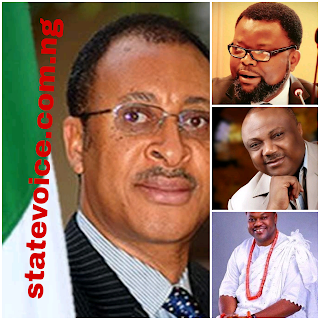 As a contestant for a seat in the state House of Assembly, how hopeful are you of emerging victorious at the polls?